On Wednesday evening, Hillary Clinton released a statement about Alton Sterling, a Black man killed by police in Baton Rouge, Louisiana, calling his death a "tragedy" and issuing her support and prayers for his family while denouncing police brutality against African Americans and calling for more trust between police and Black communities. Clinton’s response came after the Department of Justice announced an investigation into Sterling’s death earlier on Wednesday. In a statement, a DOJ spokesperson said the Department “will collect all available facts and evidence and conduct a fair, thorough and impartial investigation”. In her statement, Clinton applauded the DOJ for taking on the case, and planted seeds for what may become an important part of her post-convention platform as she discussed the broken trust between police and the communities of color they are supposed to serve. Incidents like this one have undermined the trust between police departments and the communities they serve. We need to rebuild that trust. We need to ensure justice is served. That begins with common sense reforms like ending racial profiling, providing better training on de-escalation and implicit bias, and supporting municipalities that refer the investigation and prosecution of police-involved deaths to independent bodies. Clinton’s statement seems to appeal to two seemingly at-odds electorates: the Black Lives Matter contingent and those who support police amid claims of police brutality. This carefully-crated statement that came amid nationwide protests and attempts to demonize Sterling in the media both takes on a sensitive tone and sets the stage for a larger campaign and presidential promise of police reform. Given the Clintons’ traction with Black voters, this statement is likely to pay off, especially in light of Donald Trump’s lack of statement and the perceived racism of his supporters. 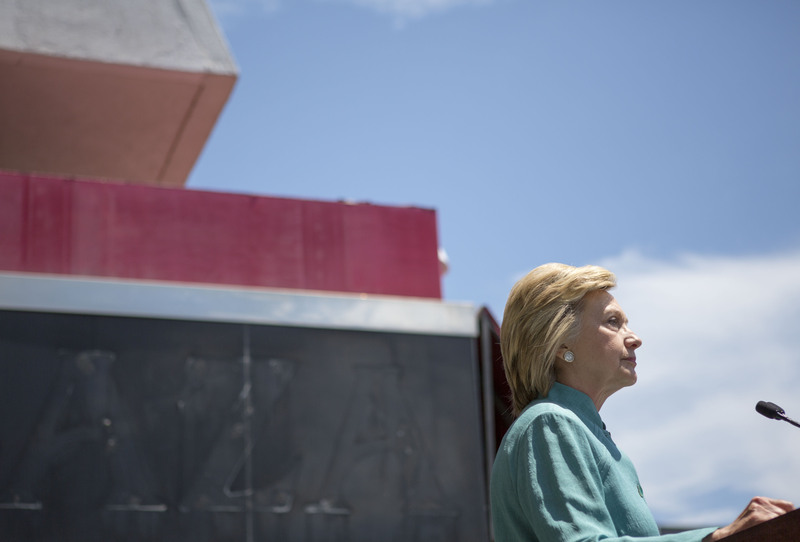 Clinton’s platform has heretofore been largely based on “Her vs. Trump” opportunism. This statement represents a departure from the mudslinging and has all the criteria for a strong political stance: it’s widely appealing, based on current events and offers solutions. This is one of the best examples of Clinton flexing her presidential muscles, and it has, for once, nothing to do with Trump. Even as a Clinton critic, I found this statement overall to be well-measured and on-tone for the brevity of this tragedy and the BLM/anti-police brutality movement’s stance. It’s farcical to believe that candidates, politicians and pundits will not use this most recent senseless tragedy for political gains as they have with the Orlando Pulse massacre, and I hope in the coming weeks Sterling and his family will be treated respectfully without becoming the victims of politicking.